Tower Finish : Top is glass, Base is tawa melteca, Frame is anodised aluminium. Dimensions : Overall size is 1800mm high x 500mm x 500mm, Top is 1200mm high, Base is 600mm high. 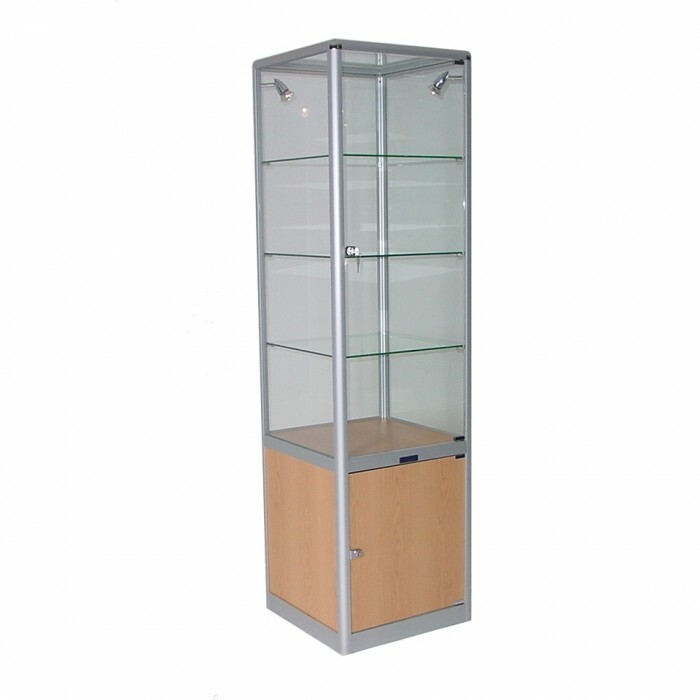 Features : Top & Base are lockable. Top includes 3 glass shelves & 2 halogen lights. Power cable is 2.5m long. Ideal for : Shows, exhibitions, conferences and events.